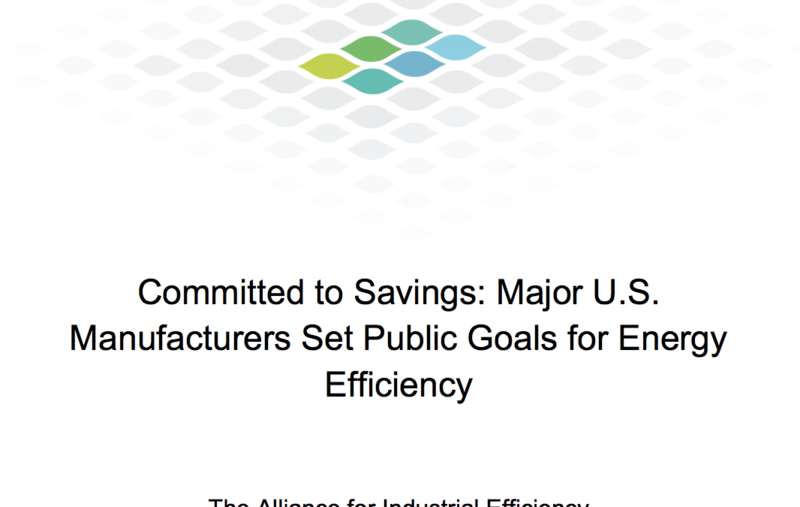 DGA project the Alliance for Industrial Efficiency released a new report that examines the public energy efficiency goals of 160 of the nation’s largest companies with a combined 2,100 manufacturing facilities in the United States. The report—Committed to Savings: Major U.S. Manufacturers Set Public Goals for Energy Efficiency—found that forty-three percent of the largest manufacturers in the United States have established robust public targets to reduce their energy use while seventy-nine percent have set ambitious public goals to reduce their greenhouse gas emissions. The Alliance’s analysis suggests states and utilities need to be part of the solution to help manufacturers become more efficient.